Ever wonder what your future holds? Get a tarot card reading from the best fortune teller of all time! Madame Fortune has answers to all your questions. Get a tarot card reading from the most powerful fortune-teller and prepare for what lies ahead! Whether you’re destined to land on the Empress, the Emperor, or the Fool – Madame Fortune will ensure you’re ready to face your fate. 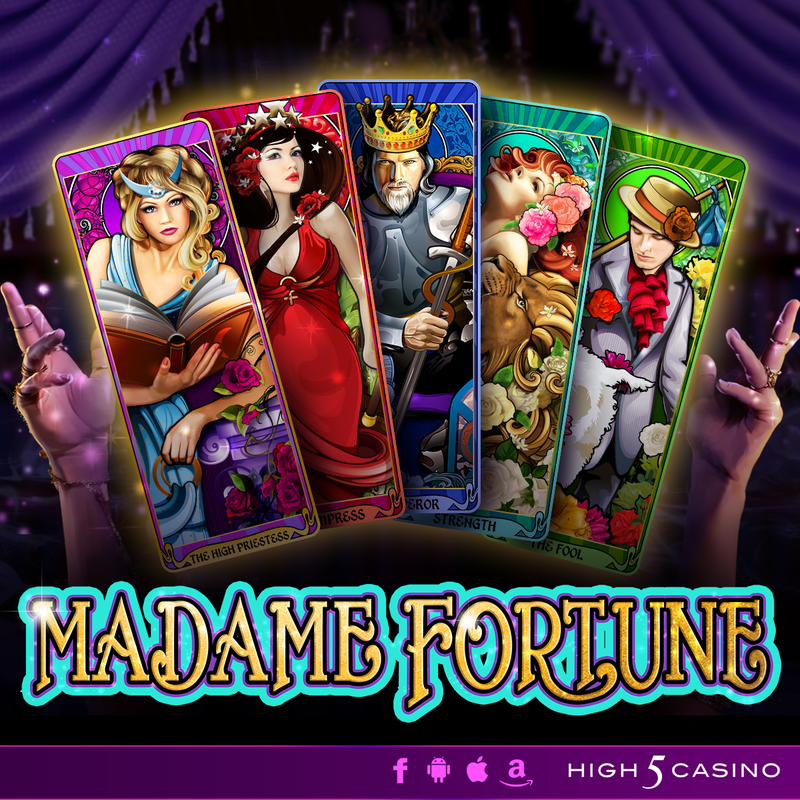 Spin to see what Madame Fortune sees in your future! Are you ready to predicts big wins in your future with Stacked Symbols and Stacked Scatter Pays? Comment in the conversation bubble located on the top right corner of your screen and let us know what you think! 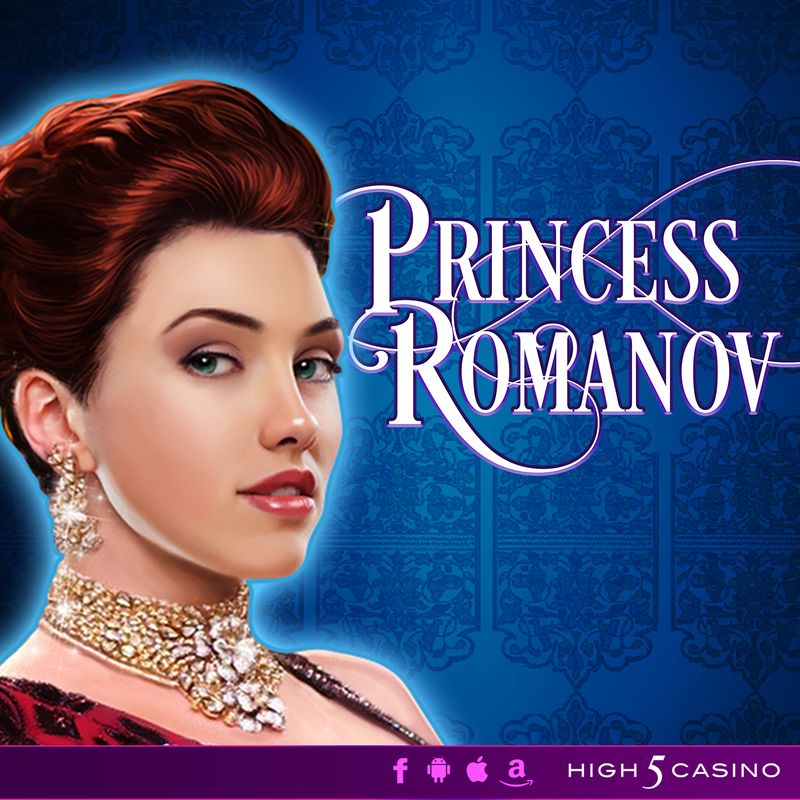 Have a splendid time with 720 ways to win and Multipliers in High 5 Casino‘s 272nd game, Princess Romanov! She attends a grand ball in hopes of learning if she really is the daughter of the Grand Duchess. The spectacle is being held in an opulent Russian palace right outside of Paris. Decorated with exquisite taste, the setting will make the perfect backdrop to a dreamy night. Fall for the charm and elegance of the sparkling princess, as she dances the night away with the crème de la crème. It is a night she will never forget! Are you ready to attend this spectacular and elegant grand ball? Comment in the conversation bubble located on the top right corner of your screen and let us know what you think! April High 5 Moments at H5C! May is here and the flowers are blooming thanks to all those April showers. 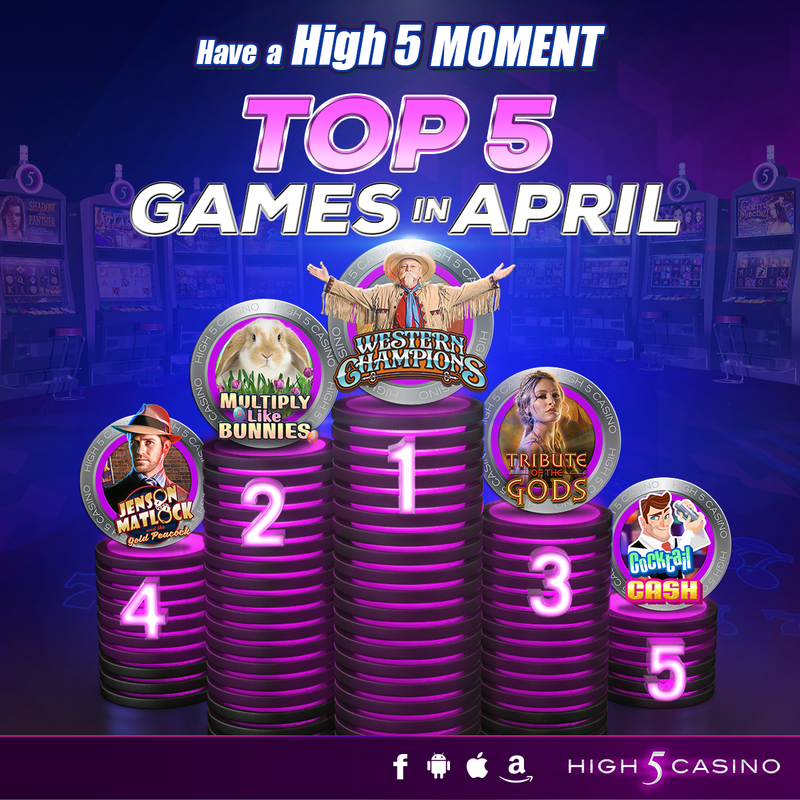 Western Champions, Multiply Like Bunnies, Tribute of the Gods and Rum City Rum Runners were released on High 5 Casino this April. We also offered 5X Game Level up Rewards every 10 Levels in a Night of Mystery, Retropolis and She-Wolf. Each time a player reached a game level ending in 0 (10, 20, 30 etc…) their game level up rewards were multiplied by 5x! Magnificent Jewels a High 5 Casino favorite was released on High 5 Vegas! Players who visited High 5 Vegas and played Magnificent Jewels earned a special coin reward in their High 5 Casino account! April also brought H5C’s Favorite Spring Flower contest where players entered to win 200k H5C Coins by telling us their favorite spring flower! 100 winners were awarded these coins in their H5C lobby on May 2nd! 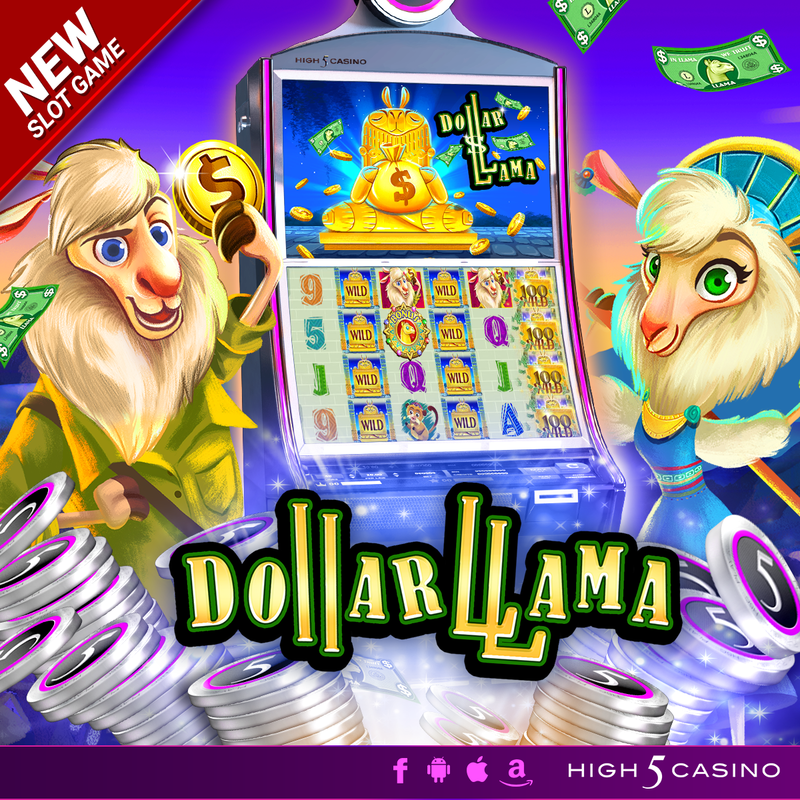 Lastly, April brought the release of our newest casino Electri5 Casino on Facebook Desktop! If you haven’t played it yet, click here! While High 5-ers spun a total of 82,840,600 spins per day in April, they walked away with $50,536,637,096,494 in total wins! What would you do if you won 50 trillion dollars? Check out some other spectacular April Stats Below! Top 5 most played games for April: Western Champions, Multiply Like Bunnies, Tribute of the Gods, Jenson Matlock and the Gold Peacock and Cocktail Cash! Which game gave you your High 5 Moment in April? How big did you win playing the Top 5 Games? Comment in the conversation bubble located on the top right corner of your screen and let us know! 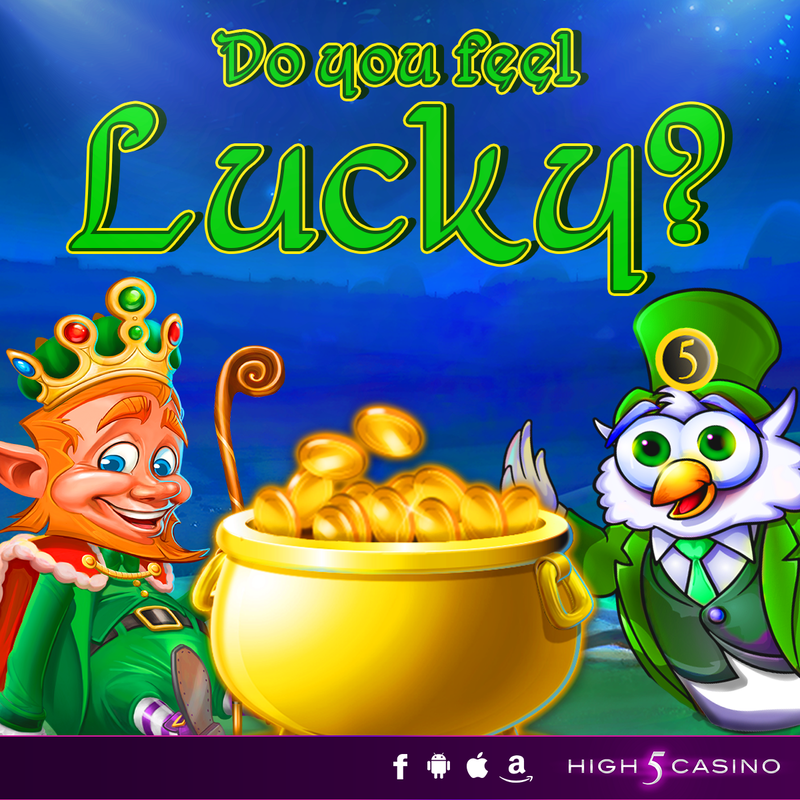 Feel the luck of the Irish with High 5 Games! Comment your response in the conversation bubble on the top right of the blog post and snag your free pot o’ coins after sharing your response! Hey High 5-ers, 2016 has come to an end, and we are so excited for what 2017 has in store! 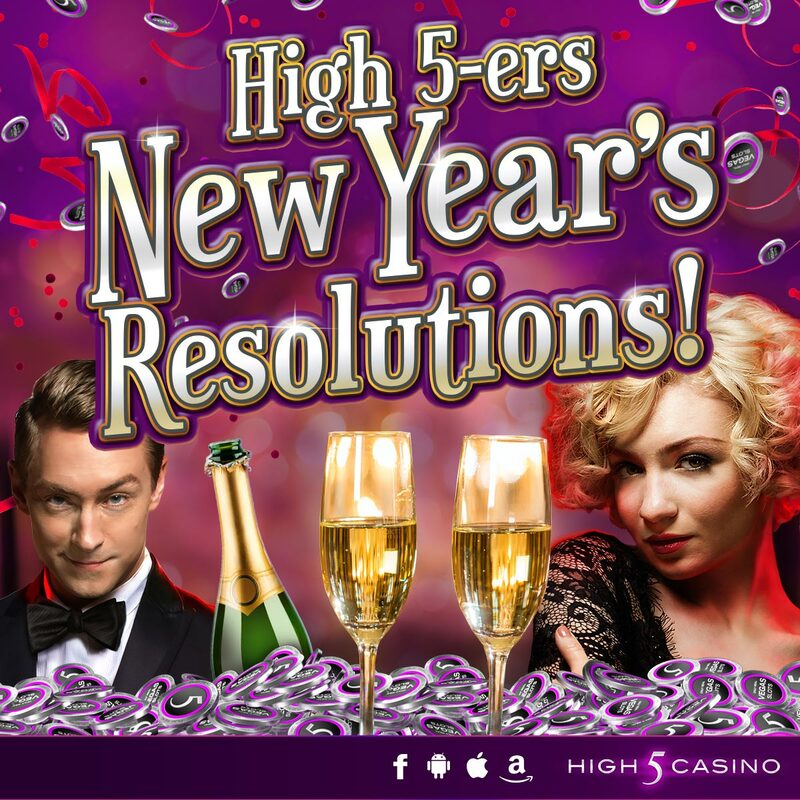 In 2016, we introduced players to the new VIP Coin Store, over 20 new games, added Jackpots to some of our favorite slots, and even introduced a new casino: High 5 Vegas! With 2017 here, and our team working hard, we can’t wait to share with you all that 2017 has in store for High 5 Casino! Across the globe, when January 1st hits, it’s time to start New Year’s Resolutions. The New Year brings an exciting time to set goals for yourself to achieve throughout the year. Whether that’s eating healthy and taking more frequent trips to the gym, or saving spare change to save up for that vacation you’ve always wanted, nothing will stop you from reaching your 2017 Resolution! Sam – My Slotitution for 2017 is to land on a Jackpot in my favorite game The Charleston! My favorite era of time is the 1920’s and when I play The Charleston I feel like I’m there. I hope to hit a Minor, Major or Grand Jackpot soon! Lou– My Slotitution for 2017 is to get all of my game levels to game level 250, so I can take advantage of the 4-Hour Bonus coins! Joe- My Slotitution for 2017 is to come in first place in one of H5C Paid Tournaments! I love the suspense of playing against other H5C players for the chance to win coins! Logan- My Slotitution for 2017 is to log into High 5 Casino every 4 hours and collect all the 4-Hour Bonus coins I can! Shaheen– My Slotitution for 2017 is to earn and send 5 gifts to friends each day so I can collect the friend bonus once they claim their gift! What are your H5C Slotitutions? Comment in the conversation bubble located on the top right corner of your screen and let us know! Hey High 5-ers! Have you ever wondered who creates the mind blowing game features for High 5 Casino, Shake the Sky and High 5 Vegas? 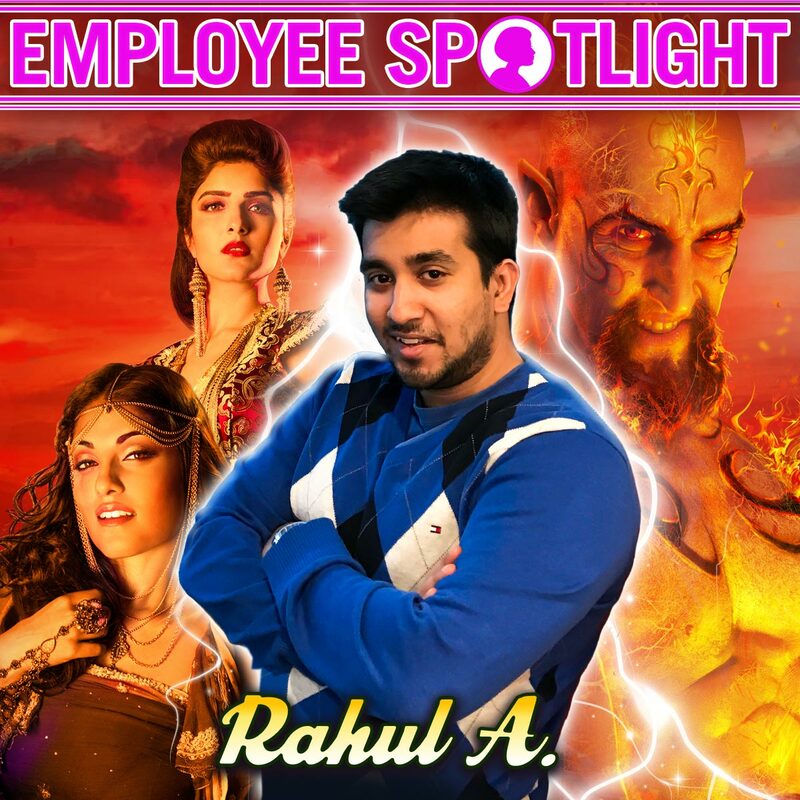 Meet Rahul A, Game Designer! Rahul and his team have created game features for High 5-ers favorite games such as: CHICAGO The Musical, Empress of Time, Rocket Man, Sinbad and the Sultan of Fire, Maggie and the Martians, Gobblers Gone Wild and more! 1. How long have you been working at High 5 Games? I’ve been with the company for about 4 years now. 2. Please tell us what you do as a Mathematician for High 5 Games? My main function is to come up with game features and ideas with my team, that we think our players will like and enjoy playing in a slot. Once we have an idea, we calculate all the odds and stats specific to that game to make sure the pays are correct and to make sure our players will like how often features will happen. 3. What process do you and your team have to go through to come up with the pay lines/math behind for a new slot game? We often have meetings where we brainstorm ideas. In these meetings we talk about things we’ve done in the past and about how we can improve/alter them to make other interesting games. We also always try to think of new ideas that we think could be cool and that would excite our players. It’s all about coming up with features that our players would like. 4. What is your favorite part of working as a Mathematician for High 5 Games? My favorite part about working as a mathematician is the freedom in creativity that I get in making the games. 5. 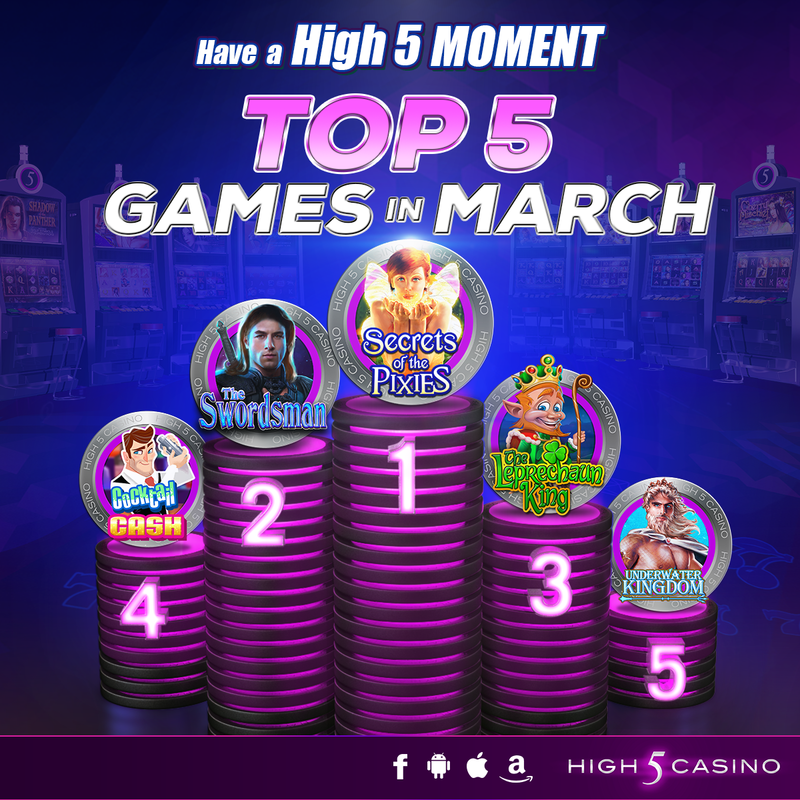 High 5 Games recently launched High 5 Vegas, what is your favorite game so far? It’s got be to Chicago the Musical. I like the fact that there are a lot of features and 2 bonus games. I also designed that game! 6. If you could be a High 5 Casino game character who would you like to be? Why? I’d want to be Sinbad from Sinbad and the Sultan of Fire. I think it’d be cool to go on adventures and fight bad guys. 7. If you could go to lunch with a High 5 Casino character who would it be and why? I’d want to go to lunch with the Empress from Empress of Time. It seems like she would be an interesting person to talk to and that she would have a lot of cool stories about her adventures. 8. 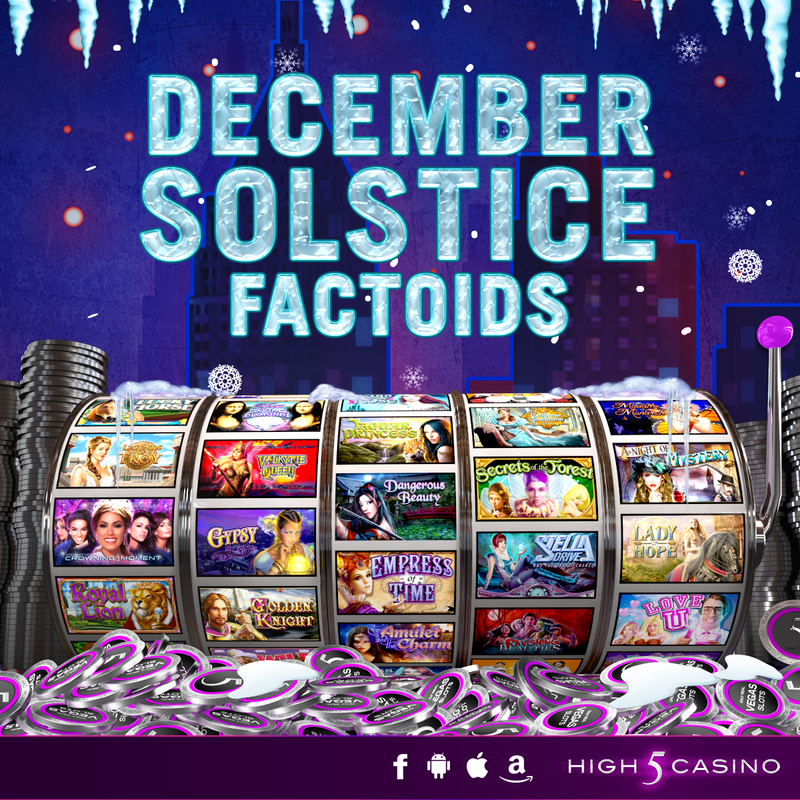 As there are almost 200 games on High 5 Casino, how do you keep track of all the different paylines and ways to win? We write computer programs to keep track of all the different pays, features, and stats. 9. What is your favorite game feature to work with when creating pay lines and ways to win? My favorite game feature is free games. I really like that most games have them and that in the free games you always get some unique cool feature that could have huge payouts! 10. You’re stuck in an elevator, which High 5 Casino character do you call for help? I’d call the rocket man from Rocket Man. He’d probably be able to get me out very quickly. 11. Who is your favorite famous mathematician and why? It’s definitely Leonard Euler. He was one of the most prolific mathematicians of all time and made contributions to almost every field of mathematics. 12. What is your favorite type of math to work with? My favorite branch of mathematicians is geometry. I really enjoy the visual aspects of the subject. Which High 5 Games’ game has your favorite game feature? Comment in the conversation bubble located on the top right of the blog post to let us know! While we are all very lucky to be able to give and receive this holiday, there are some who aren’t as fortunate. Around the office we decided that the December holiday season is the perfect time to give back. This year, High 5 Games is honored to have partnered with Volunteers of America – Greater New York region to provide children with families in shelters and preschool children with developmental delays in the Bronx with holiday gifts. High 5 Games employees stepped up to the plate and choose one or more child to shop for. Employees were given a list from the children of what they may want for the holidays. Our employees went above and beyond this holiday season and provided them with gifts they’ll remember for a lifetime. Each holiday season, Volunteers of America, holds several drives to make the holidays special for the people they serve. To help Volunteers of America make the holidays special for those children, High 5 Games was able to present 60 gifts collected through our office Holiday Gift Campaign. We would like to thank each employee for participating in this H5G’s Gives Back campaign! Your kindness will lead to many smiles for children this holiday season. High 5 Games is constantly looking for ways to help others, so make sure to comment in the conversation bubble located on the top right of the blog post and let us know what you have done to help others around you!